As we have recently launched the E.A.R.T.H. Lab, we are in early development, and projects are being seeded and are sprouting. This center generates art and performance related projects focusing on environmental and social justice issues as collaborative possibilities that emerge from a mutual exchange of research, creation, and experimentation. New hybrid practices and knowledges generated from close, interactive project work deepens engagement with our natural environments and with each other as part of these environments. Our Pollination Pod and the E.A.R.T.H. Lab mobile unit on the road again! E.A.R.T.H. Lab supports new projects and working methods by inviting pioneering artists, theoreticians, and others who areworking on the boundaries of environmentalism, social justice, gender and sexuality studies and technology as visiting artists and scholars in residence. E.A.R.T.H. Lab mentors undergraduate and graduate students and includes them as assistant researchers and collaborators. An array of art forms including performance art, visual art, film and digital media, art/life and writing are incorporated and explored. The center's research is made available to broad audiences through artworks, performances, seminars, symposiums and publications focusing on interdisciplinary projects organized around environmental, ecological and social justice issues and projects. 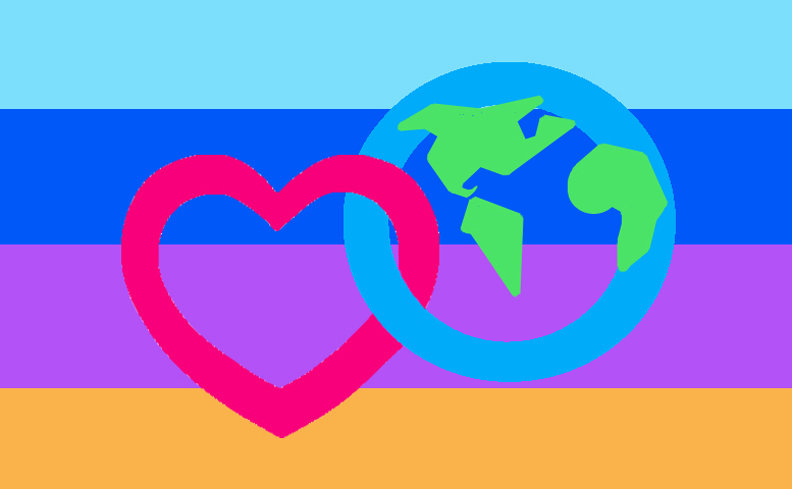 Communities that are often excluded from environmental and ecological projects, such as the LGBTQIE community, communities of color, and other marginalized communities are particularly encouraged to participate. 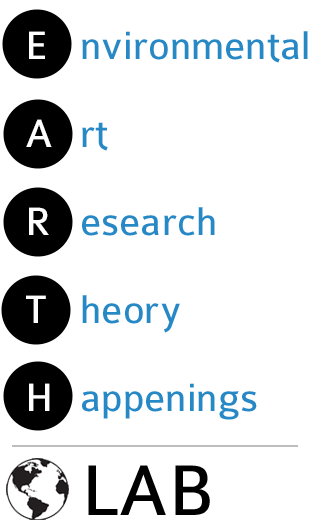 The theory and critical approaches of various disciplines from the arts, sciences and humanities are also highlighted and incorporated into the center's projects and presentations. Collaboration across artistic and critical methods, and across different disciplines, strengthens and broadens research by faculty and graduate students in ecological art, performance, and other practices while expanding the dialog between the arts, humanities, the sciences and the public. 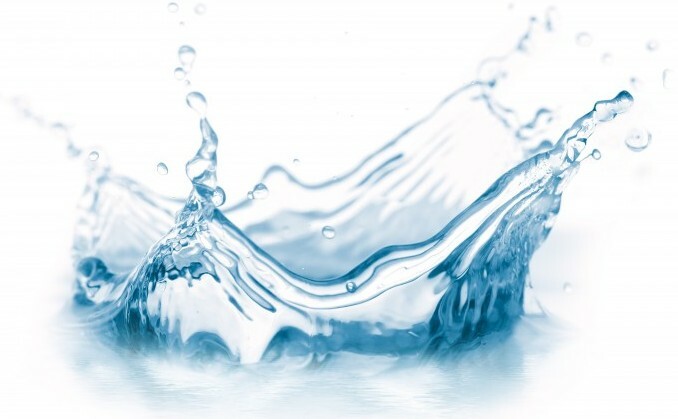 Earth Lab is doing a series of talks and performances about water. Presenting performances, theater pieces and experimental music. Currently, E.A.R.T.H. Lab is co-sponsoring a road trip adventure exploring the most beautiful and the most environmentally devastated places around California. theEcosexuals.org. 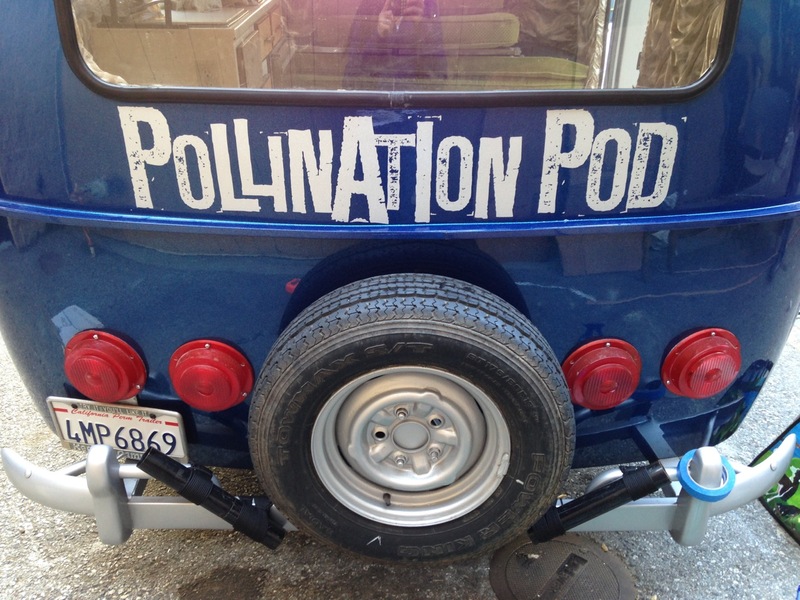 The Pollination Pod is our pop-up theater and multi-media mobile unit when we need to be on the go. 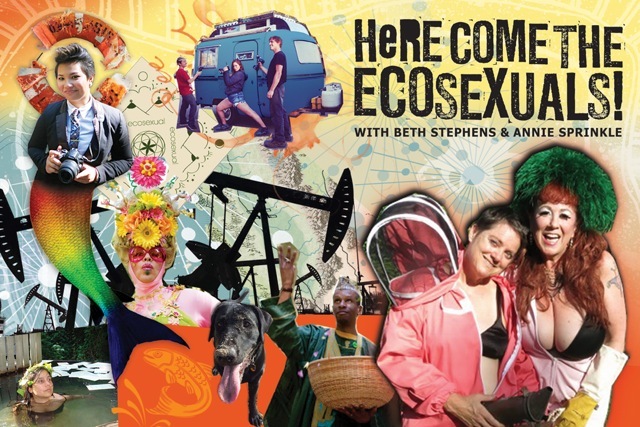 Earth Lab is developing this new field of research, which explores the places where sexology and ecology intersect. 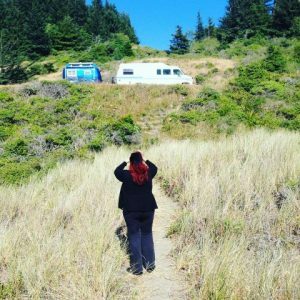 sexecology.org. New documentary film in production. In pre-production. Dates to be announced.